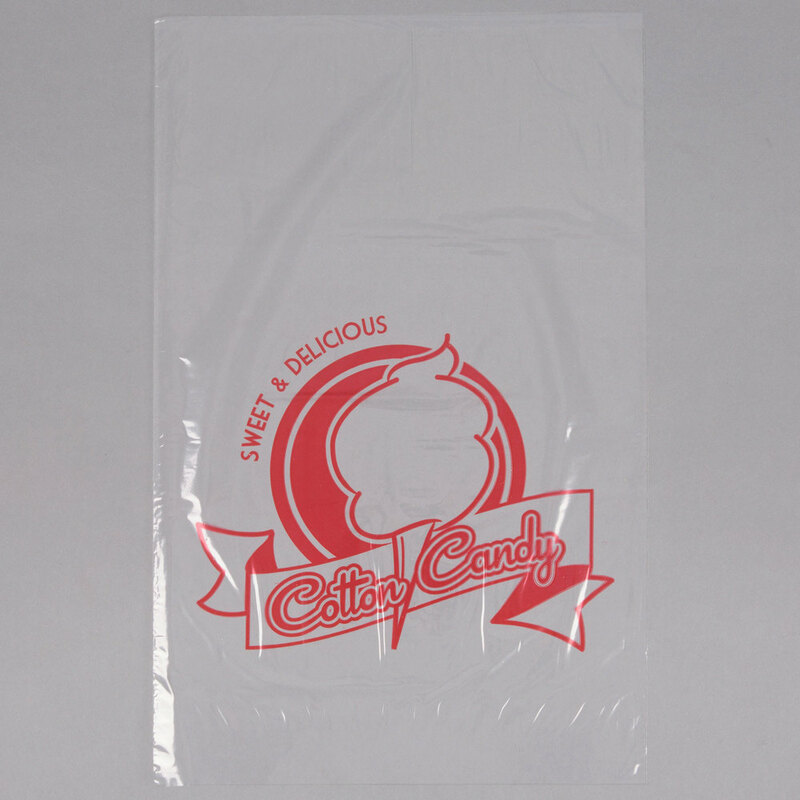 Quickly bag your fresh cotton candy in this Carnival King 202502504 11 1/2" x 19 1/2" printed Quick Pak bag! Constructed of .80 mil plastic, this durable bag is the perfect solution for packaging up and displaying your colorful cotton candy. With its clear design, this bag brings out the pastel pink and bright blue colors of your cotton candy, so guests will start craving the fair-favorite snack right away. Plus, the fun red print and graphics help market your sweet treats and fit the exciting atmosphere of your venue. Ideal for your concession stand, snack shack, or carnival booth, this Carnival King Quick Pak cotton candy bag will ultimately help you increase impulse sales! Featuring a paperboard header, these bags remain securely attached and together during storage. Simply tear a bag off when needed, and don't worry about losing bags in your venue's fast-paced environment.